Jonah Taylor has only lived in the States for a few months, but he already fits in well with Texans, having developed a healthy obsession with Whataburger and Chik-fil-A. 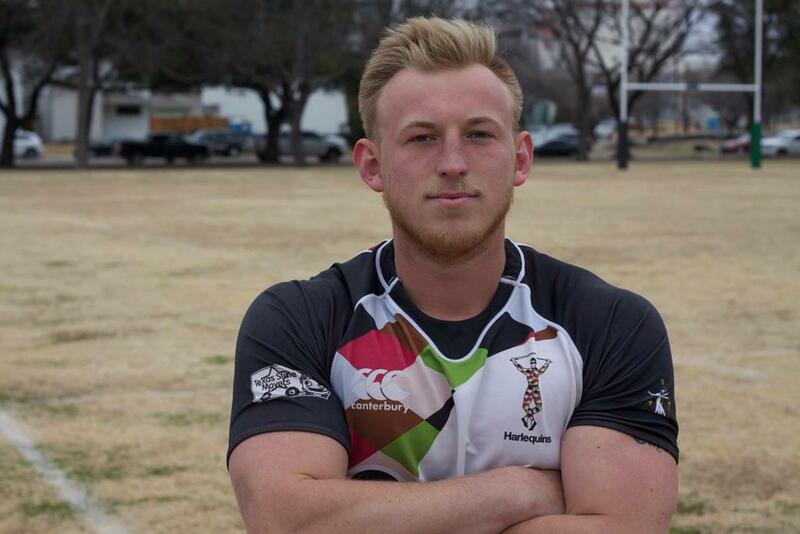 The 21-year-old rugby player from Buff Point, New South Wales (NSW), Australia has made himself at home in another way as well, by joining the Division 1 squad of the Dallas Harlequins Rugby Football Club. The lock/flanker became familiar with the Quins through his coach and mentor Rod Kafer at the Academy of Sport. Kafer is good friends with and a former Aquis Brumbies teammate of Vaughn Crowe, a Quins Old Boy who remains deeply involved with the Quins through refereeing, playing touch, and lacing up his boots for second side matches when duty calls. When Taylor decided to look at playing rugby stateside, Kafer's recommendation led him to the Quins. Taylor's rugby resume is impressive for his young age. He began playing rugby at the age of 12 for the Warnervale Wildcats, who he played with from 2009-2012 as part of the Central Coast Junior Rugby Union. He was featured on many select teams including: Combined Catholic Colleges from 2010-2012; Central Coast Academy of Sport from 2011-2012; NSW Country in 2012; and Independent Schools Association in 2014. He moved on to the 1st XV (first fifteen) side of St. Stanislaus College, a partner school of the University of Sydney, in 2014. Following his time at St. Stanislaus, he played for Randwick Rugby Club in 2015 and most recently Gordon Rugby Club in 2016 and the NSW Academy of Sport Rugbytek from 2016-2017. And that's all the clubs he has played for over the years...he thinks. With so many teams under his belt, Taylor knows a good program when he sees it. "I love playing for the Quins. They have taken me in with open arms. We have talented players and a great group of guys who are there to get the job done," says Taylor. "The direction we are going with Coach Blake Rodgers is exciting. And I really like the fact that we have such dedicated Old Boys in the Quin community. They are always willing to give or throw the boots on again to help make us as successful a club we can possibly be." The Old Boy spirit shines through in Taylor's experience, from the connections through Crowe that led Taylor to the Quins to the generosity of Todd Smith, a 25-year Quin vet who played in the '95 National Championship and current coach of the Dallas Harlequins Colts. Smith is hosting Taylor at his home and is responsible for getting Taylor hooked on Whataburger, which was his first meal in Dallas. Smith says his "seventh son" is a pleasure to be around and a great influence on his sons, who also play rugby. As the Quins' spring XV season is just beginning, Taylor will have plenty of opportunities to show what he's made of on the pitch. Coach Blake Rodgers, who cut his rugby teeth with the Harlequins Colts, says of Taylor, "He's a really smart and athletic player. Jonah takes coaching well, and does what is asked. This lends him to always being around the ball on the field and he is seen as a leader in his teammates' eyes. He is the exact player any coach would want on their team." 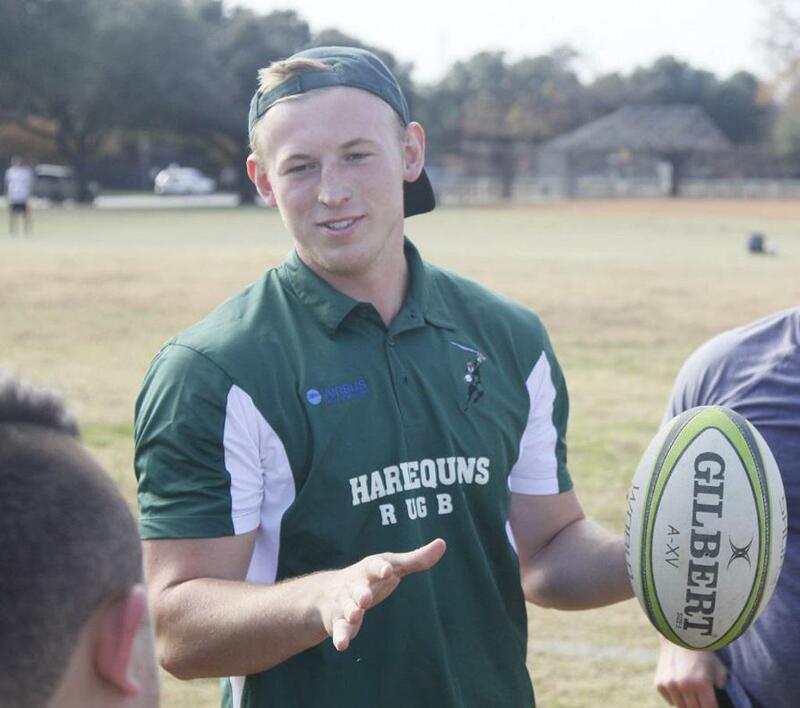 Taylor's next chance to bring his leadership to the pitch with the Quins will be on February 17 in Austin as they face off against the Austin Blacks. 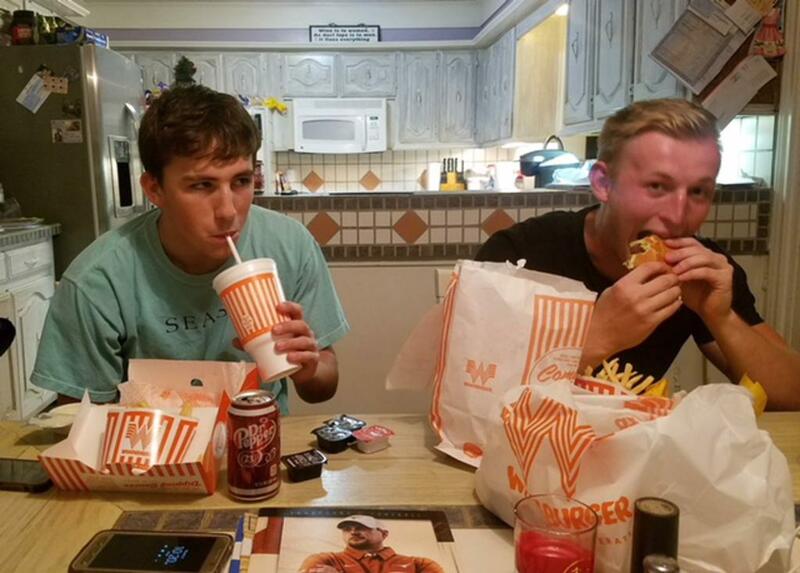 In the meantime, you can catch him enjoying some Whataburger. Jonah enjoys Whataburger on his first night in Dallas.